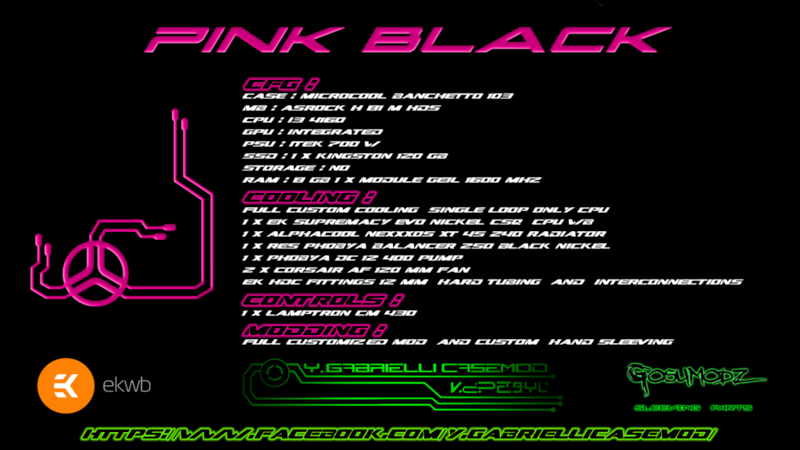 Case Mod - Complete Minimod Microcool Banchetto 103 Project "Pink Black"
Discussion in 'Project Logs' started by Y.G Casemod, 21 Nov 2018. Those LEDS... Is this for landing planes? Black paint may not be enough to hold back that much light. Well guys we came to the end of this worklog too. Here are the final photos of the finished minimod with complete technical data sheet. Below I leave you also the final presentation video on Youtube if you like to take a look. And as always, stay tuned. like always, magnificant and flawless, powerfull and classy designed, real high end product, it makes me think of a Ferrari...are you from Italy?